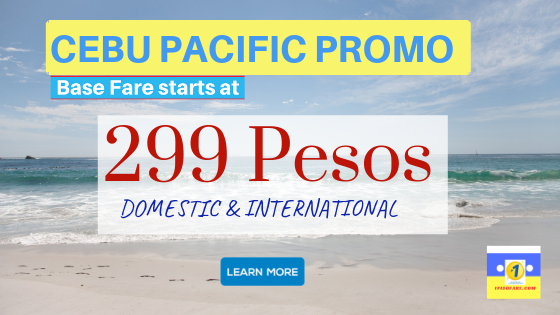 Cebu Pacific 299* Promo for Bohol, Dumaguete, Iloilo, Cebu, Caticlan, Camiguin, Puerto Princesa and more destinations! 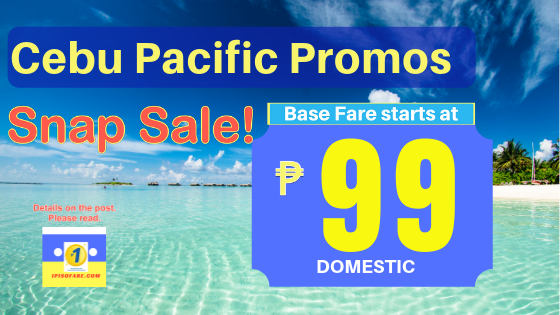 99 Pesos base fare promo for select domestic destinations on Cebu Pacific Air. 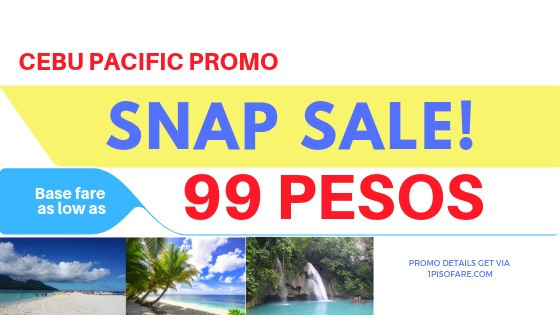 Travel period until December 31, 2019. LIKE & FOLLOW to Get Updates! Buy tickets online for fastest confirmation. 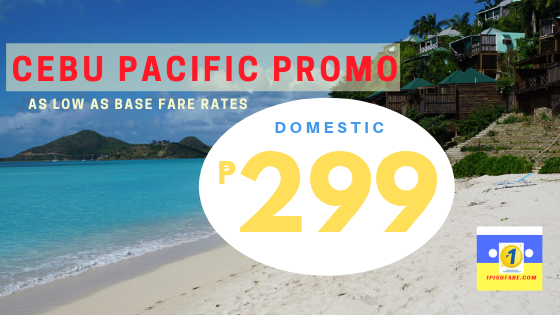 LIMITED SLOTS always ang promos especially ang Cebu Pacific PISO FARE for 2019 as well as PAL P1 tickets.